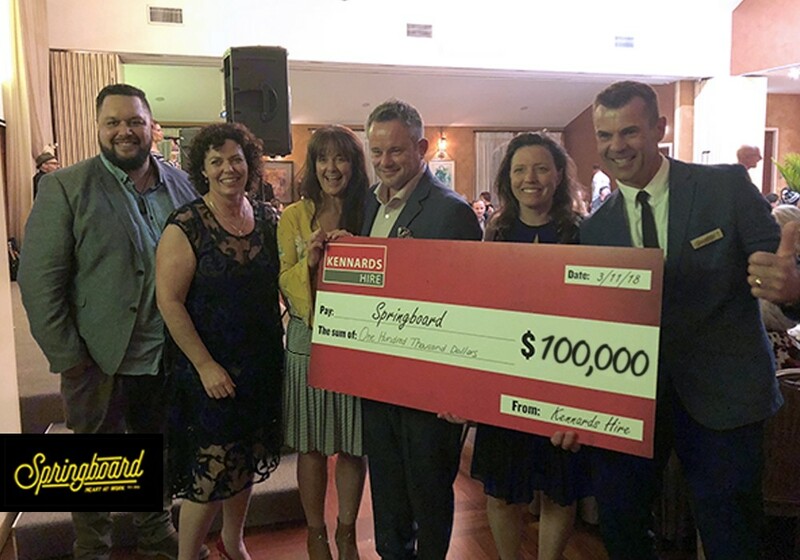 Kennards Hire has donated $100,000 to youth charity, Springboard. Based in Snells Beach, the organisation will use the donation to continue helping New Zealand’s most vulnerable youth. The gift was pledged at the Springboard Double Impact Fundraiser on Saturday, 3 November.